1) Sofa’s – We move so many sofas / couches it’s not even funny! 3) Mattress removal – Often times we remove these when the customer is not even home, Just set it outside we will come do the rest. 4) Estate clean outs – We work with a large number of realtors and families when a loved one passes away, we often get the call to rid the home empty of it’s junk. 5) Commercial junk removal – We have done all types of these. Office, retail, & industrial. We specialize pick ups others’ wont touch! 6) Hoarding – We get a lot of calls to come in and assist with hoarder situations these clean ups require care and patience. 7) Hot tub removal – Most of the time these are removed when the homeowners are getting ready to sell the home. 8) Construction debris removal – Pretty self explanatory, gotta watch out for the nails! 9) Lot clearing – When getting ready to sell or just acquired property there is often junk to be removed many times a HUGE amount! 10) Storage clean outs – This is a wild card, we can be removing just about anything for a multitude of reasons. 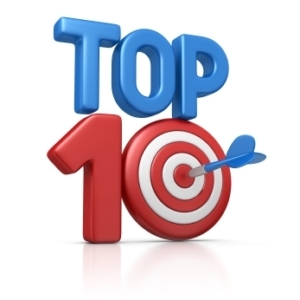 We hope you enjoyed Vista Clean’s Top Ten Tucson Junk Removals list.